An industrious entrepreneur with distinct business acumen, Dr Tang founded Prince Jewellery and Watch Company Limited in 1984 and has since served as its Group Chairman and Chief Executive Officer. Dr Tang has devoted tremendous efforts to social and community services as well as education development. He was awarded a Medal of Honour in 2010 and appointed a Justice of the Peace in 2015 by the HKSAR Government in recognition of his outstanding contributions to industry and society. 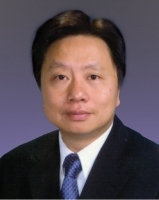 Dr Tang was also named the Ernst & Young Entrepreneur of The Year 2013 China (Consumer Products).